According to a forecast from Gartner, the customer relationship market (CRM) will be worth more than $40 billion U.S. dollars in 2018. The CRM market was just $13.9 billion U.S. dollars in 2010 – representing phenomenal growth. Whether you are an established business or a start-up, one thing that is central to the success of your operation is the way you relate to your customers. In today’s fast-paced techno-savvy world, customers are the undisputed king – so a significant amount of success is determined by how well you are able to manage their expectations. For any start-up, managing customer information during the initial period is not all that difficult. But, as your business grows and you graduate to the next level, you need to streamline your business processes; systematically manage your current and future customers, and improve your team’s productivity to keep the competition at bay. You need a CRM – now. However, selecting the best CRM for your start-up is not an easy decision. There are many factors you need to consider before buying the best CRM for your organization. If you have a start-up and planning to buy a CRM solution, then you are at the right place to learn! What is a CRM solution and how does it work for your start-up? According to enterprise technology marketing firm TechTarget, CRM is a term that refers to practices, strategies and technologies that companies use to manage and analyse customer interactions and data throughout the customer lifecycle, with the goal of improving business relationships with customers, assisting in customer retention and driving sales growth. In basic terms, a CRM software helps a business integrate sales, marketing and customer support by analysing customer data. An ideal CRM platform provides you with analysis of sales cycles, marketing campaigns, customer acquisition strategies and other customer interaction metrics – the time spent by the customer engaging with your business, the cost of each transaction, the quantity of products/services purchased, and so on. A CRM platform records raw, unsorted customer information from various channels – such as a website, email and brick-and-mortar stores – before disseminating this information along with the insights gained into various departments, such as Sales, Marketing, etc. Why is the customer experience so important? Customer experience is a perception. If you fail to live up to the expectations of your customers, they won’t give you a second chance. Today’s customers are intelligent, aware and impatient. They know what to buy and from whom to purchase. With the variety of goods and services so readily available, it does not take long for a customer to switch his or her loyalty. Therefore, to retain your customers, you need to improve their overall experience. With a CRM solution, you can create a full overview of each customer, regardless of who in your company is talking to the customer. It allows you to personalize your communication, offer relevant content and service, and respond quickly to their requests – making sure that every question is answered to their satisfaction. The second most important advantage of CRM software to your start-up is that it offers immense opportunities. Retaining your existing customers is important, but you also need high-quality leads to increase your customer base. And, a CRM software generates top-quality leads for your start-up and keeps your sales pipeline up-to-date. Another important contribution of a CRM system is that it allows all your customer interactions to remain in one central place. You don’t miss out on any information, and this allows you and your team members to improve their experience. Vendor support – It is imperative that your vendor provides adequate support when the need arises. 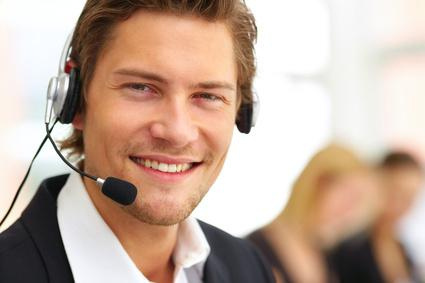 Moreover, responsive customer care and support are always helpful during the implementation stages; it keeps your team members calm and confident. Even after the implementation of the CRM system, it is always necessary that your vendor keeps providing support to your team. To learn whether a particular CRM vendor would be able to provide adequate support, visit their website and go through the testimonials, or speak to their customers directly. Also, note how much time the vendor takes in responding to your query. Ease of use – Change is often difficult to accept. However, purchasing CRM software that is intuitive and user-friendly will help your team members quickly adapt. It is also advisable to get your team members on board before finalizing the CRM. Find out the customization and automation levels of the software – It is important that the CRM system you buy is customizable. Every organization has a different set of needs, and hence the CRM system should customize according to your requirements. Will you be able to create a custom database? Does it allow custom workflows? What is the level of automation? Can you get a customizable dashboard? Does it allow customized reports? These are some of the important metrics you should look for when you set out to buy a CRM system. It should be mobile –If you want to increase the productivity of your sales team, the CRM must be accessible on every mobile device. Be aware that some CRM products are limited in their mobile capabilities. It should be scalable – The capacity to seamlessly scale up as your business grows is another important consideration. It is difficult for your employees to embrace change to a different CRM platform every few years. Any major change also affects the productivity and efficiency of your staff members. Experience of the vendor in the software industry – A well-established CRM solution has already “worked the bugs out” of its software, provides strong customer service/support and has a good reputation in the CRM industry. Last but not least, price – Price, of course, is an important consideration for any start-up. You need to know what you have to pay and when. However, keep in mind that price should never be a limiting factor when it comes to selecting the best CRM software for your organization. Your primary concern should be the return on investment. The CRM you buy should generate enough revenue for your start-up. Find out the upfront cost, the features that come with it and the ones that are not available. Also, try to know the upgrade costs, the price that you would have to pay for support and the training expense, as all of this should be added to the software cost. So if you have a start-up business, congratulations! We know this is an exciting time for you. We at eZnetCRM invite you to learn about our powerful, yet intuitive and easy-to-use solution. eZnetCRM is customizable and scalable – and provides around-the-clock customer support. We serve you better so you can serve your customers better!